1 hour of pure fun. Freejumping is the best way to see what we’re about! The trampoline park is yours to explore for an hour. 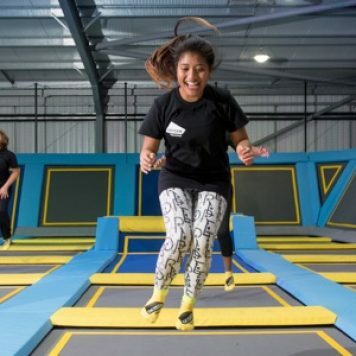 Over 100 connected trampolines and innovative zones to get you bouncing, climbing, somersaulting and smiling like never before! Freejumping is for anyone aged 3 and over. No trampolining experience necessary! (We also offer exclusive toddler sessions called Little O Toddler sessions which are for age 5 and under.) We also have our Peaceful Play session for people on the autism spectrum, or with sensory or learning disabilities. All our trampoline parks are custom designed and their features vary. You can expect giant airbags, foam pits, dodgeball courts, slam-dunk basketball, performance trampolines and much more! Check out your local park to see exactly what’s inside. 1 hour to explore the whole trampoline park. 30 days jumping. 1 great price! Will I get access to the whole trampoline park? In most sessions, every zone will be available for you to explore. Please be aware however, during School of Trampolining session times, the performance trampolines will not be available. Select your park above and click the information button to view our Freejumping prices. 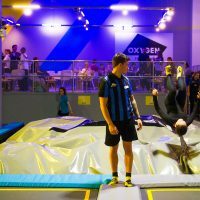 You can book online, by phone or at reception in your local Oxygen Freejumping trampoline park. We highly recommend booking ahead online to avoid disappointment – on weekends and during holidays we often sell out up to a week in advance. I’ve booked an hour session, when do I need to arrive? We advise that you arrive 30 minutes before the start of your session. This is so you can collect your trampoline jump socks, and watch the safety briefing video (mandatory for all jumpers). How do I sign my waiver? All participants must sign a waiver before they enter the trampoline park arena. Waivers for under 16s must be signed by an adult. You can sign your waiver online, or at reception when you arrive. Children under the age of 12 must be accompanied by an adult staying on site at all times. 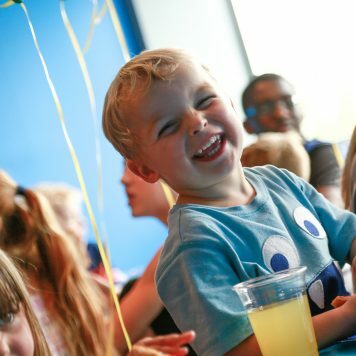 Children aged 5 and under must be accompanied by an adult on the trampoline park. Children under the age of 3 cannot enter the main park area unless taking part in a Toddler specific session. 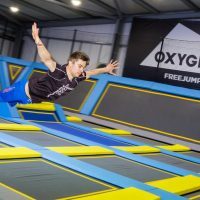 From special events to offers, discounts and giveaways, there’s always loads going on at Oxygen Freejumping and Air Space trampoline parks. 30 days of Freejumping, 1 great price! Think how much you could learn: straddle jumps, full twists, walk-the-wall, somersaults, the sky’s the limit! Our Peaceful Play sessions are designed for customers on the autistic spectrum or with sensory or learning disabilities.